‘The world needs more adventurers like Huw’. Sir Ranulph Fiennes, Guinness World Records Greatest Living Explorer. Hello! I'm Huw, your packraft guide, expedition planner, and campfire concierge! 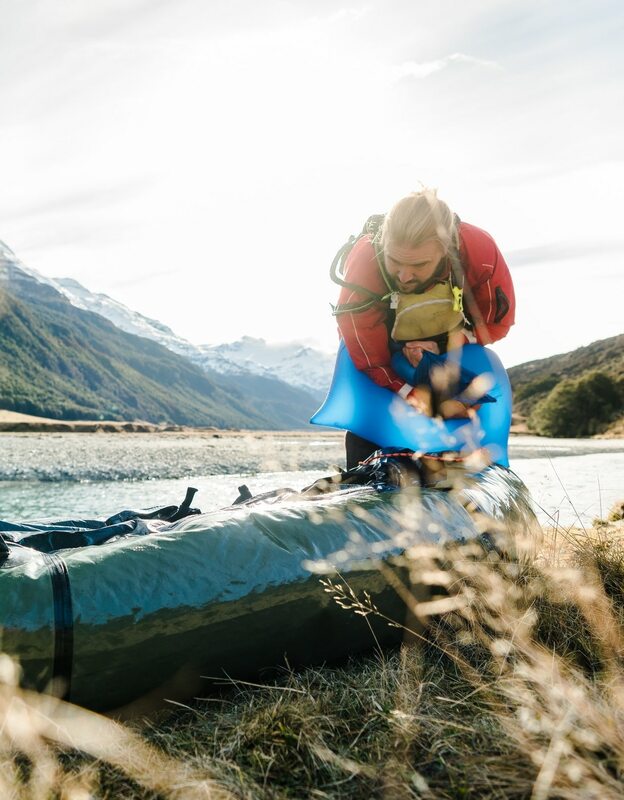 I think the world just needs more adventure, and at Packrafting Queenstown that’s our reason for being. This is the second packraft business I have established, and while the first is still going strong, I can’t wait to show off this unbelievable region. I live on the shores of Lake Wakatipu with my wife, Sarah; our little boy, Tarn, and Kosi our dog. As a guide and expedition manager I have travelled the world for over 13 years - sharing the joys of mountains, rivers, canyons, roads and the sky. But Queenstown has always been a basecamp, and over the years I have trained a number of guides who are still on the water today. Outside of work, I’ve made first descents of massive rivers in Nepal and Ecuador… on a riverboard. It’s an epic, if unconventional way to experience the river. On these trips I gained professional sponsorships, and even the endorsement of Sir Ranulph Fiennes, one of the people that lit the flame of adventure inside of me. Packrafting Queenstown is my latest project to keep that flame alive, and share it with the world. Our pack-rafting overnighter was the perfect mix of adrenalin and zen-like calm inducing pleasure. The River had exciting rapids and bits where you floated and watched the banks flash by (if you’re a LOTR geek you might expect to catch sight of the Uruk Hai pounding past – this is where the river scene in The Fellowship was filmed – cooool). Finally we ended up at a Lake in the afternoon – an idyllic spot with a beautiful sandy beach, mountains stretching away on all sides, a hut, a few other campers and lots of tracks to explore the area. In the morning we ‘tramped’ back to the van, it was all totally amazing – just wish there were more places that offered pack-rafting. Thanks to our wonderful guide Huw who taught us a lot about paddling and even lit our fire with a flint – what a pro!